This easy-to-use handbook includes tips and exercises to build specific skills. Part One – Refine eye-mind-body coordination with exercises for eye tracking, focus, peripheral vision, concentration, and more. Part Two – Gain mental edge through the SEE IT. SAY IT. DO IT! process. Includes exercises for teams and children by age group. Part Three – How to practice sports vision safety. For individuals of all ages: kids, weekend warriors, serious athletes, parents, coaches, and teams. Whether you are new to the world of autism, are familiar with treatment options, or are a veteran who has “been there, done that,” this book is for you! Discoveries about possible etiologies and promising therapies are emerging so quickly that you are sure to learn something new. Outsmarting Autism guides you step-by-step with practical information from a variety of fields that families, specialists, and educators can put to use immediately. 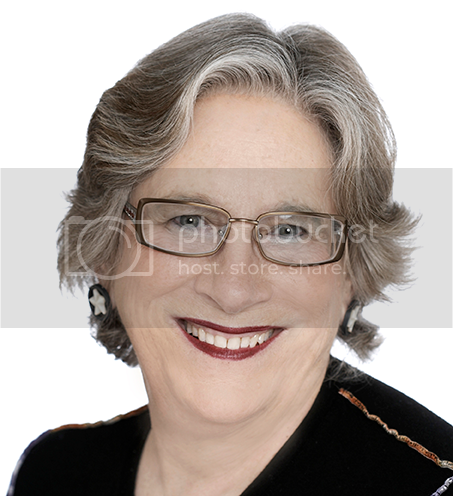 Author, Patricia S. Lemer, is a licensed professional counselor with over 40 years’ experience advocating for families of children with special needs. She is passionate about determining underlying causes of developmental delays, and not just treating symptoms. She discourages labeling and specializes in combining developmentally appropriate practice with sound theory. Ms. Lemer is a cofounder of the nonprofit Developmental Delay Resources, and Board Chair of Epidemic Answers. Her previous book, EnVISIONing a Bright Future, was published in 2008 and is also available through the OEP Foundation. This book is a great resource for parents and patients who are considering their options and looking for more information. It is also a valuable reference book for optometrists to loan to their patients who are considering vision therapy as a treatment option for strabismus. Chapter 3) Where Do I Turn for Help? By Cynthia L. Davis and Baby Sue Acree Glasses! Patches! Vision Therapy! Tommy's world is turned upside down when he is called upon to embrace his glasses and accompanying vision therapy. The introduction of these three vision interventions can be frightening to a small child. Tommy comes to accept his glasses and therapy with help from Puppy and Bunny. Illustrations by Rosalie White. Softbound, full color throughout, 16 pages. An expanded, comprehensive guide to the enormously popular Suddenly Successful Student. Written with the consumer in mind, it delves into the many aspects of behavioral optometry including juvenile delinquency, vision and behavior, sports vision, vision imbalances, and vision therapy, and a chapter entitled, “A Home Guide,” covering the value of regular vision exams and what to expect, symptoms of vision imbalances, computer use, how to help enhance a child’s vision, and more. Hardbound, 306 pages. By Kenneth A. Lane, OD, FCOVD This new workbook is designed to help occupational therapists, optometrists and other professionals develop the ocular motor and visual perceptual skills of learning-disabled children. Contains daily lesson plans and practical tips on how to successfully start an activities program. The first of its kind, this book utilizes a learning approach by linking the theories with the remediation activities to help learning-disabled children improve their perceptual and fine motor skills. Softbound, 304 pages. This book, written for the public, is a classic that is still as timely as it was when first released in the clarity with which it shares insights into the visual process. Bob makes, what for most of us is difficult to share, his points with ease and with many very clear demonstrations what the reader can do at home or on the go to help them truly know how to improve their vision. As Bob used to like to say so often, “The past is prologue to the future.” This book was enough ahead of its time that it is still timely now as it was then. I hope that you find this useful in your communication with your patients. I envisioned this on your book shelves, but more importantly in your reception area and being given out and circulated in your community. Consider getting a few extra copies for local Libraries. Softbound, 97 pages. EYEGAMES: Easy and Fun Visual Exercises. An OT and Optometrist Offer Activities to Improve Vision! Developing healthy visual-motor abilities is more difficult in the complex stimulus of today’s world than ever before. Our visual experiences can be overwhelmed by the vast complexity of artificial colors and sounds which did not exist in our ancestors’ lives. Much more time is spent indoors, exposed to a myriad of unnatural colors, movement and imagery. We hibernate inside, interacting with machines instead of being out in the sunlight, looking at the far horizons, exploring natural environments. More and more time is spent sitting rather than moving, watching rather than doing. This book has an overview of the development of vision, with a checklist of warning signs of vision problems-based on the studies of behavioral optometry; a discussion of the importance of integrating all the senses equally in the development of optimal visual skills, rooted in the field of occupational therapy - Practical, playful activities designed to improve visual skills in both adults and children. Excellent for use at home, in the clinic, at school, or amid outdoor settings. Softbound, 100 pages. Can your child organize...really organize? * Does your child have difficulty completing tasks? * Are you tired of fighting about your child's homework? * Is your child reaching her potential? Based on the award-winning book, See It. Say It. Do It! Visualize, declare and take action, ORGANIZE IT! provides parents, teachers and therapists with practical, step-by-step strategies and templates to help get their children organized. This workbook is full of work planning sheets, calendars and motivational activities. It helps you organize your child's daily routines including chores, homework and other activities. This eliminates those frustrations and arguing over doing and completing the tasks! Increased organizational skills creates success and confidence in school, sports and life!